New Delhi: As the ruling Bharatiya Janata Party (BJP) celebrates its 37th Foundation Day on Thursday, the party has chosen to keep it low profile. The milestone comes within a month of its historic win in Uttar Pradesh elections. 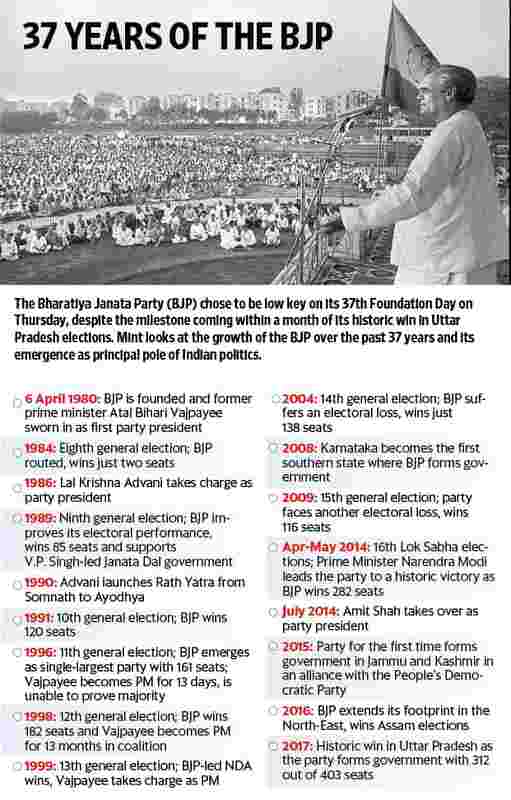 Here’s a look at BJP’s political history since its formation in 1980.